You won't believe how easy it is to make these smooth Lemon Creams! Whip them up in the mixer, dunk them in chocolate, and people will think you bought them from a candy shop! You can also make other citrus flavors with this recipe. Combine two cups of powdered sugar, butter, lemon juice, salt, marshmallow cream, extracts, lemon zest, and a few drops of food coloring in a large mixing bowl fitted with a paddle attachment. Mix on medium speed until smooth and evenly incorporated. Slowly add the rest of the powdered sugar in batches, stopping often to scrape down the sides of the bowl. Taste and add additional lemon extract if desired and more yellow coloring if you want a bolder color. Using a small cookie or candy scoop, scoop out small balls of cake and roll between your palms until they are round one-inch circles. Place the cakes balls on a baking sheet covered with parchment or waxed paper and refrigerate them until firm, at least one hour. When the lemon creams are firm enough to dip, place the candy coating in a medium microwave-safe bowl and microwave it until melted, stirring after every 45 seconds to prevent overheating. Using dipping tools or a fork, submerge a cream filling in the melted candy coating. Remove it from the coating and drag the bottom across the lip of the bowl to remove excess coating. Replace the dipped candy on the baking sheet. If desired, top it with a sliver of candied lemon peel while the coating is still wet. Repeat with remaining cream fillings. Refrigerate the creams to set the coating completely, about 20 minutes. These Lemon Creams are best served at room temperature and can be stored in an airtight container at cool room temperature, in the refrigerator, for up to two weeks. Click Here to View All Fondant & Cream Candy Recipes! Click Here to View All Lemon Candy Recipes! Star Wars Fans, Check Out These BB-8 Cake Balls! 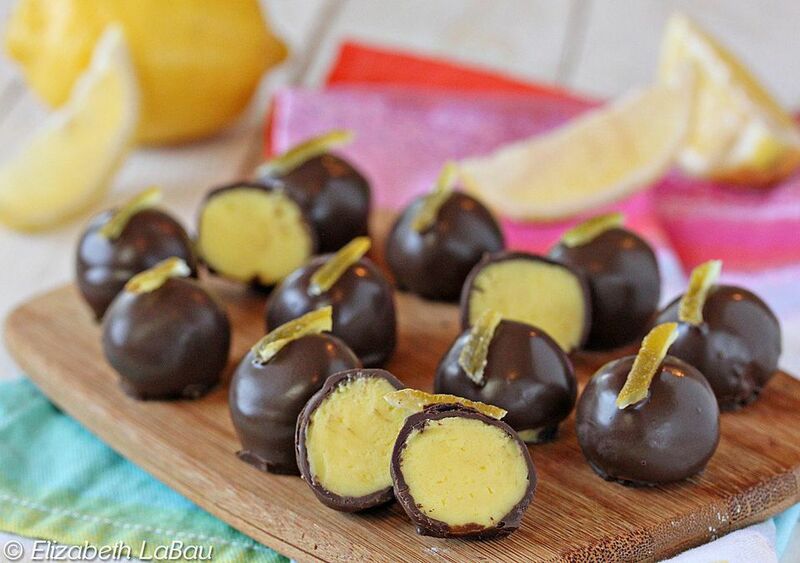 Lemon Lime Soda Pop Truffles That Fizz In Your Mouth!